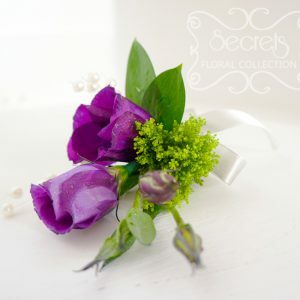 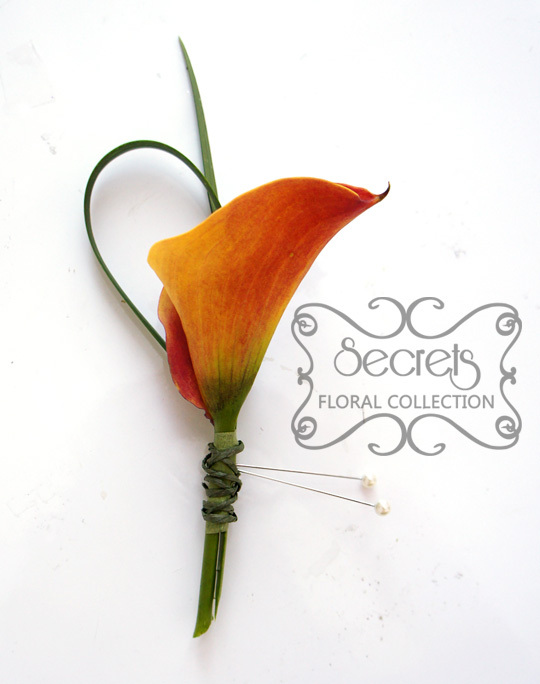 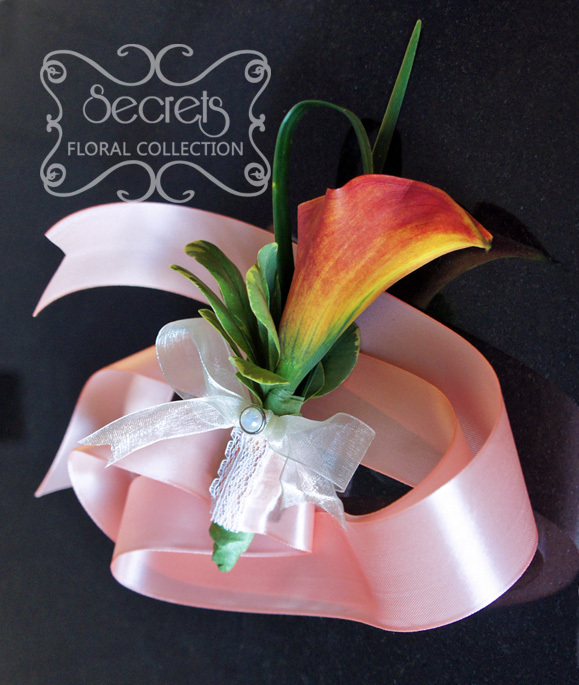 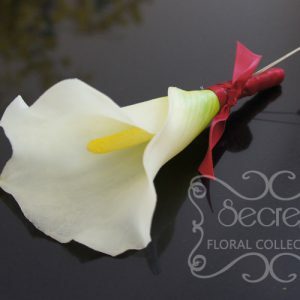 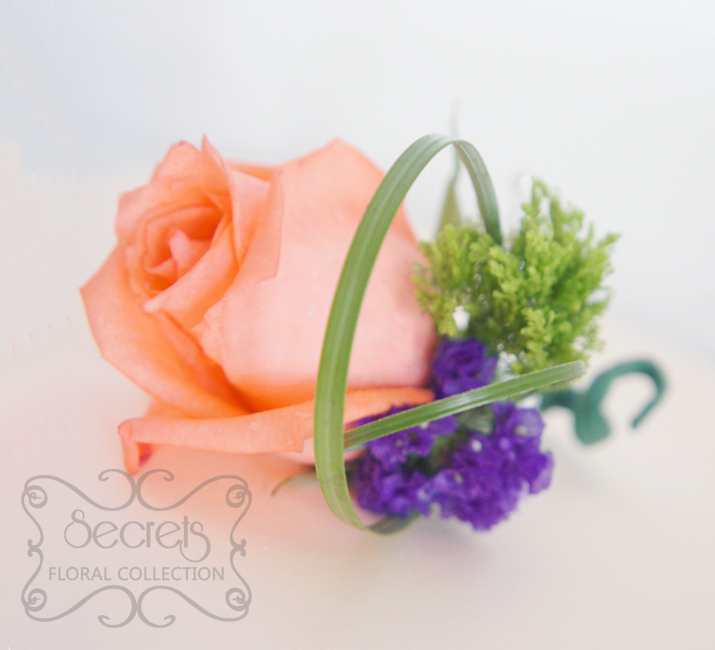 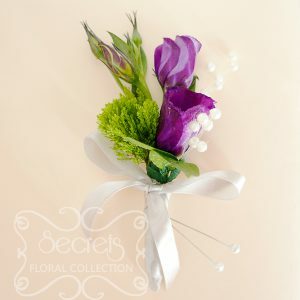 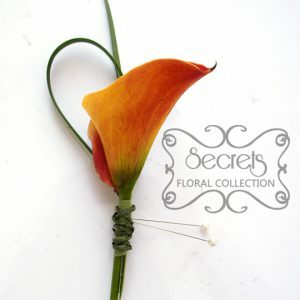 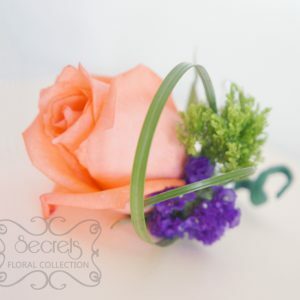 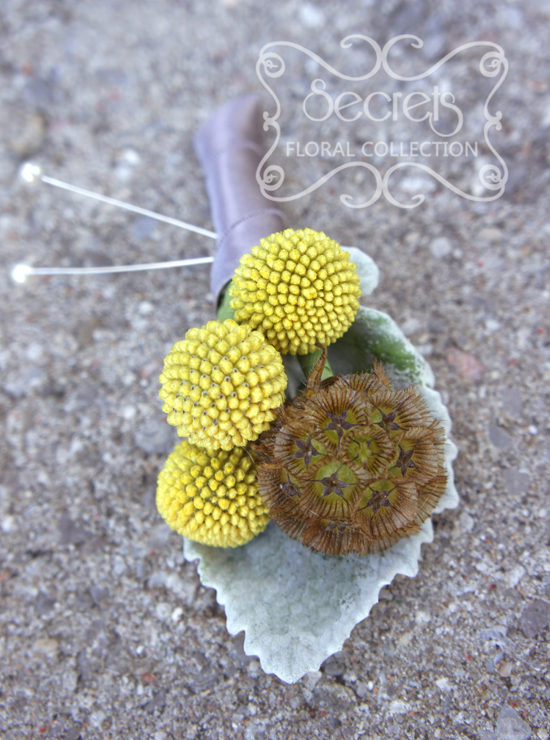 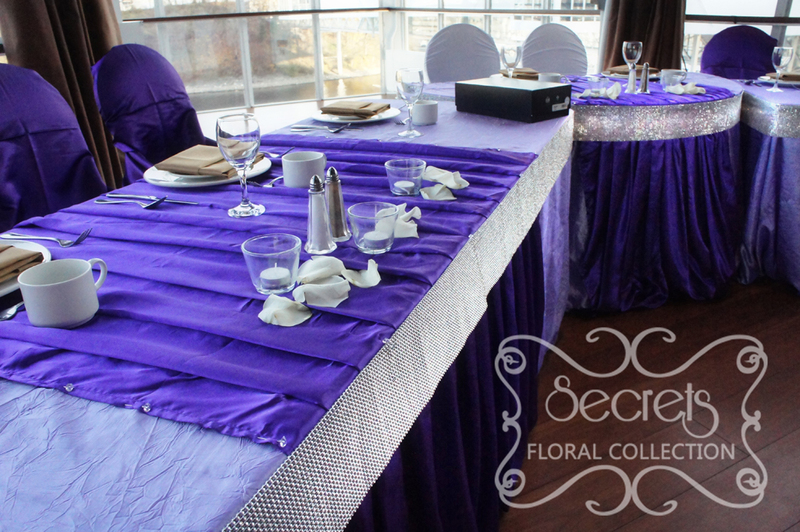 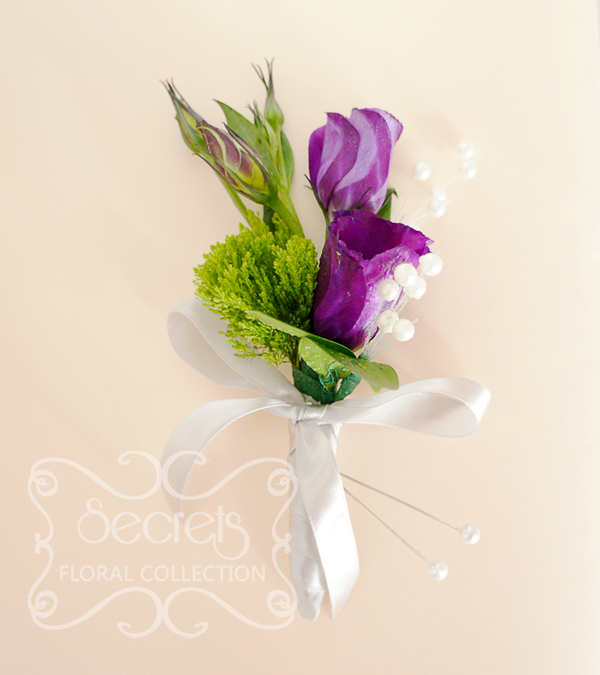 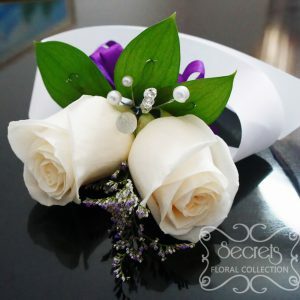 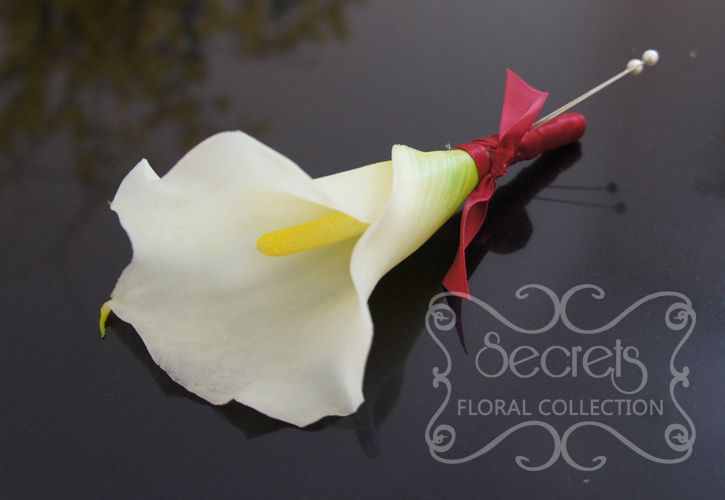 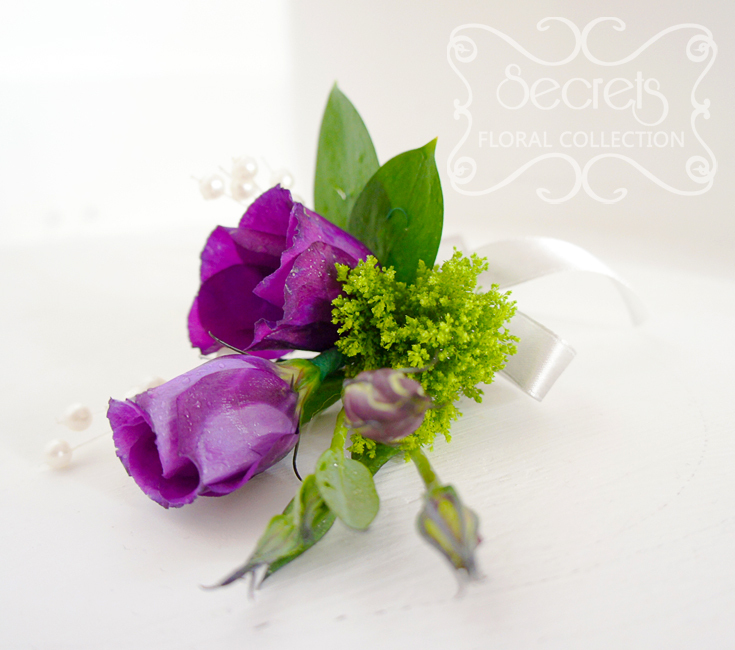 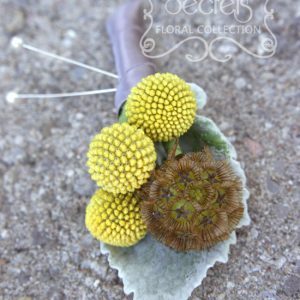 At Secrets Floral, all of our fresh flower corsages and boutonnieres come with internal water source. 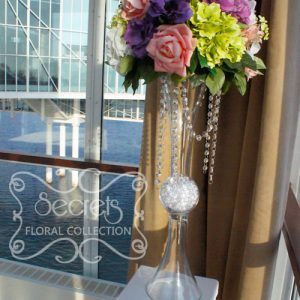 We believe that the key of having beautiful flowers is to keep them hydrated at all times. 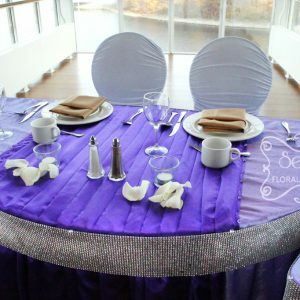 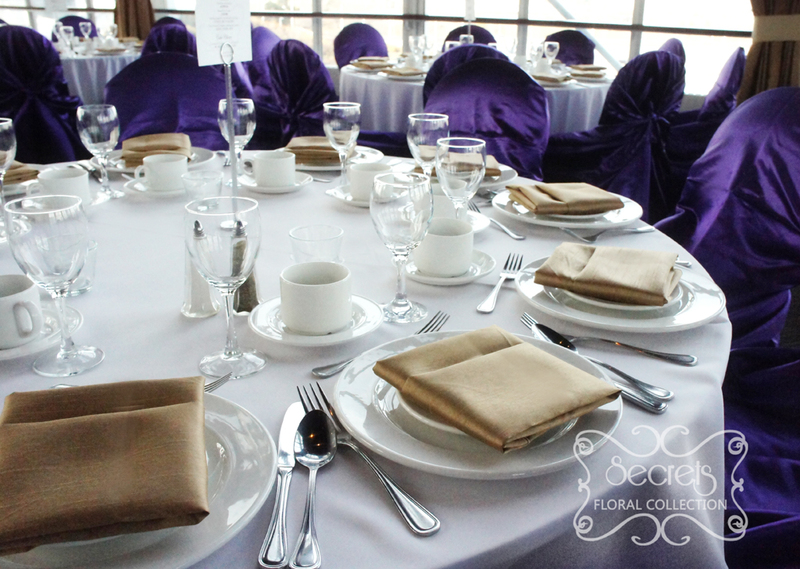 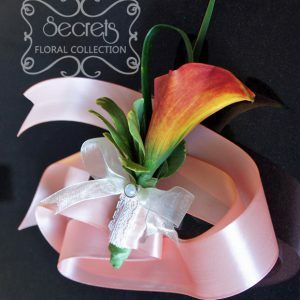 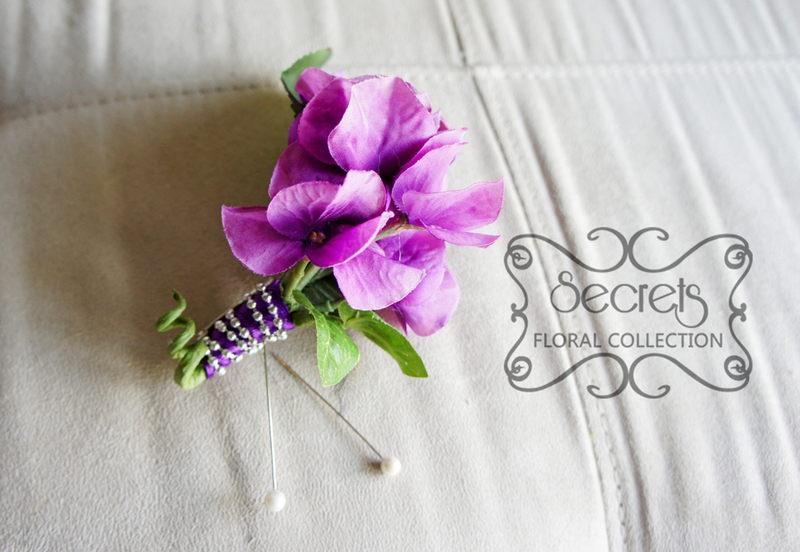 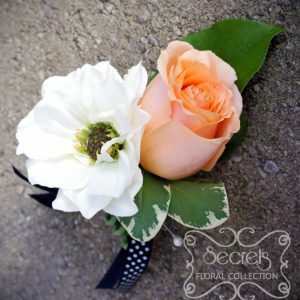 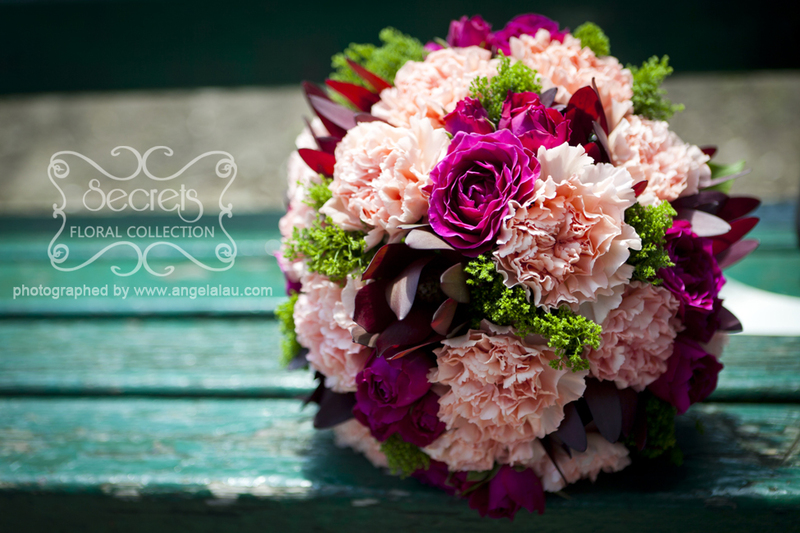 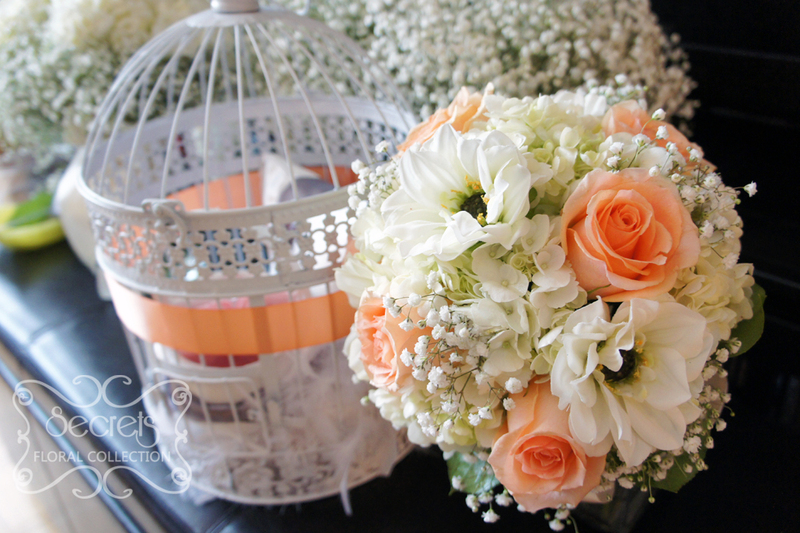 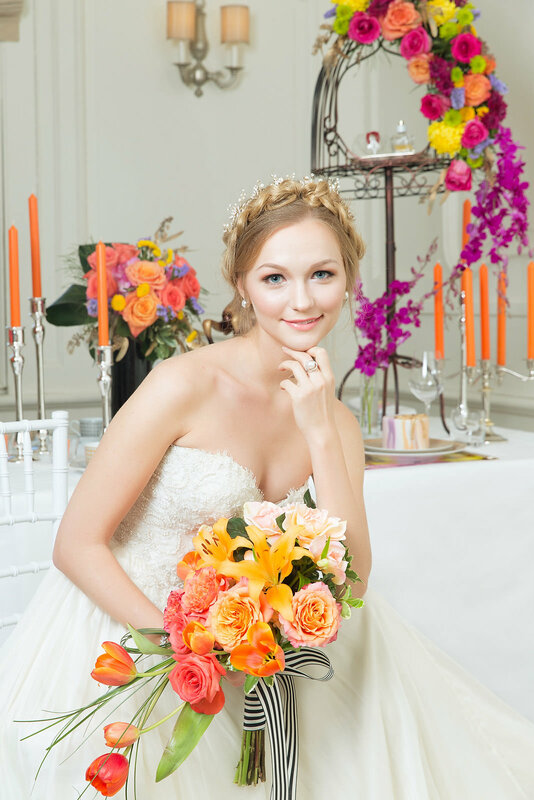 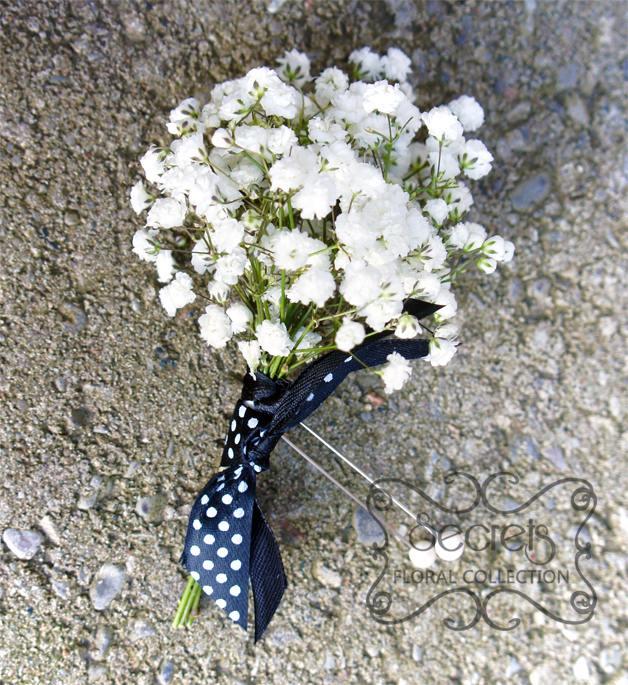 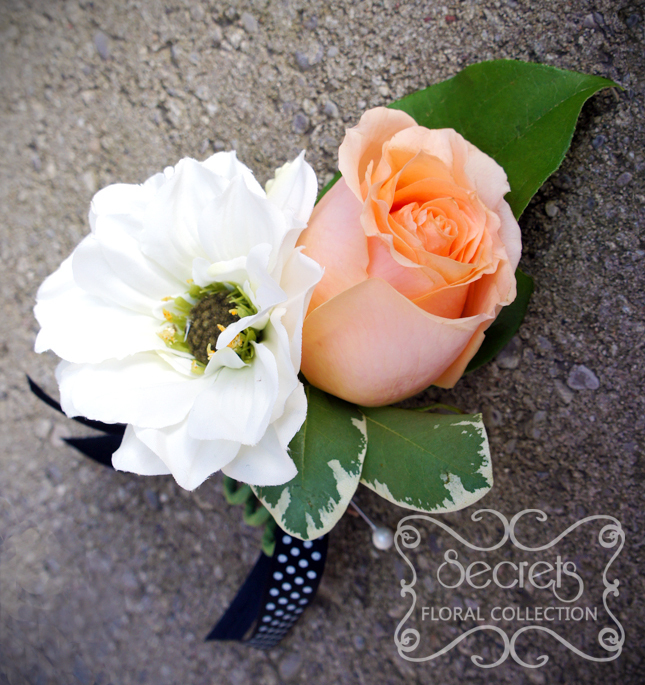 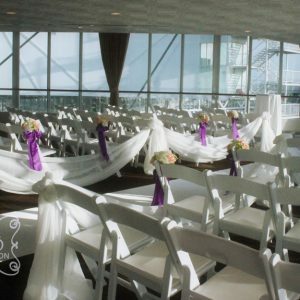 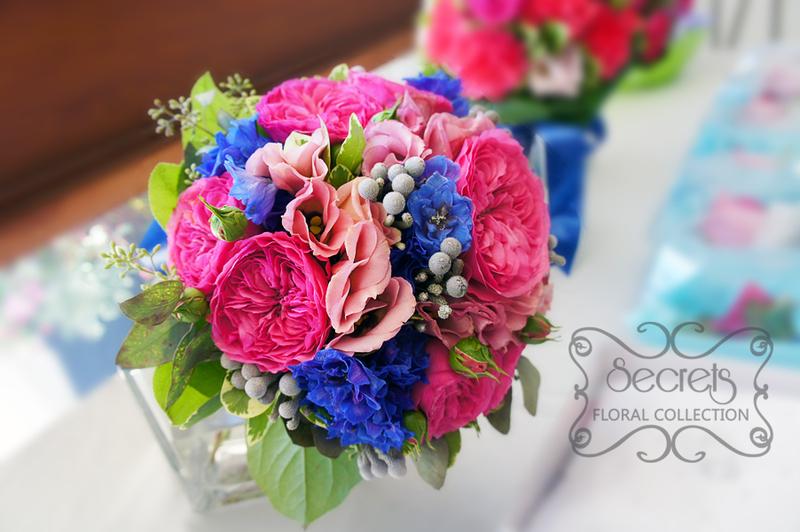 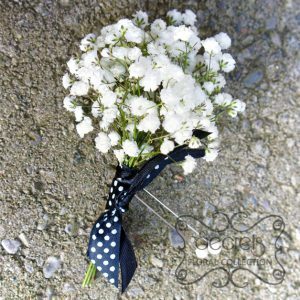 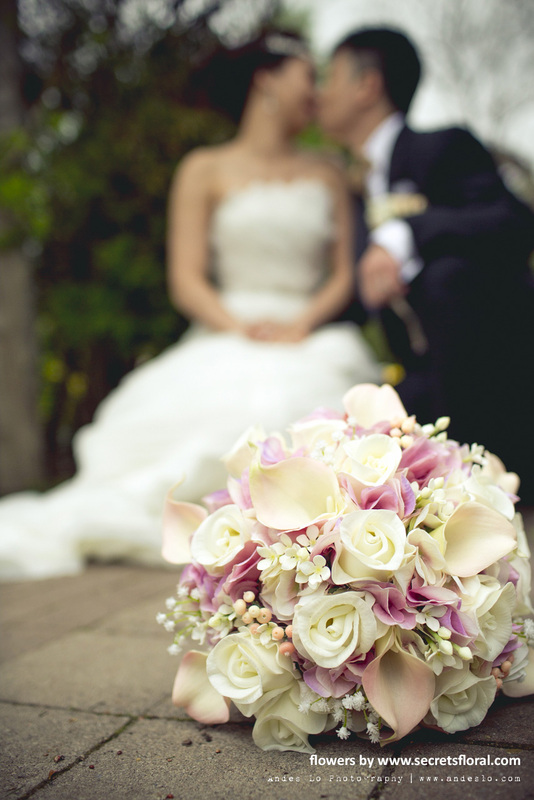 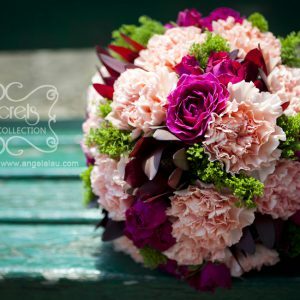 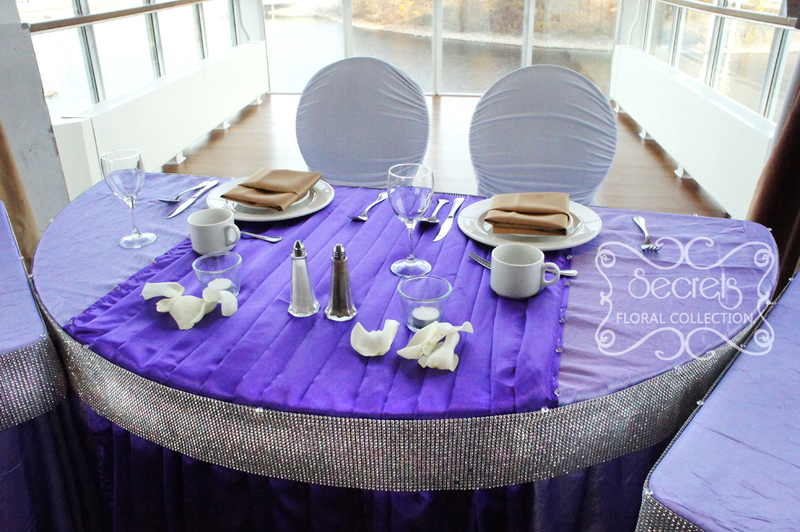 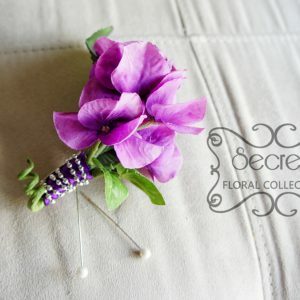 For our artificial flower corsages and boutonnieres, we use the soft-touch, real-touch, and photo-realistic flowers. 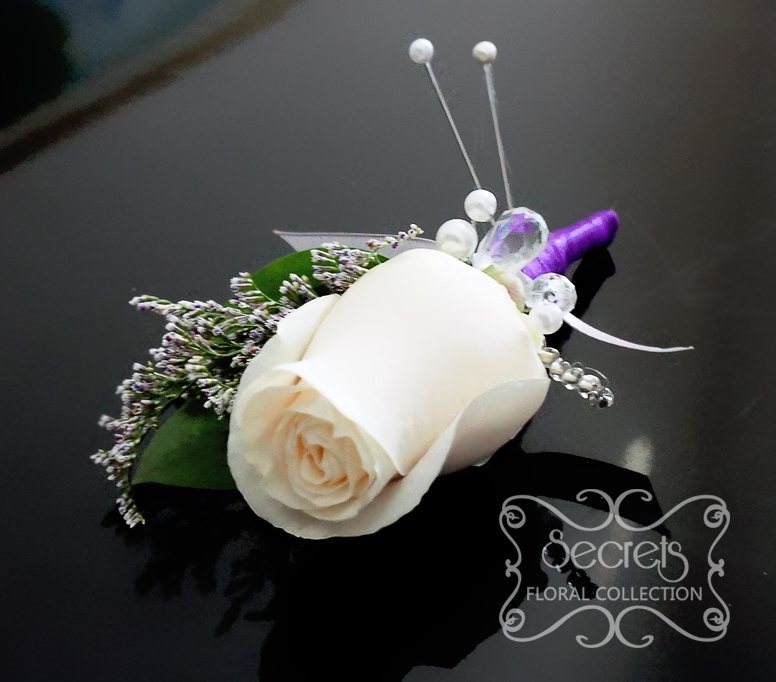 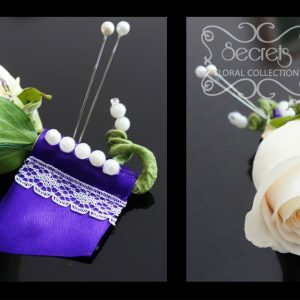 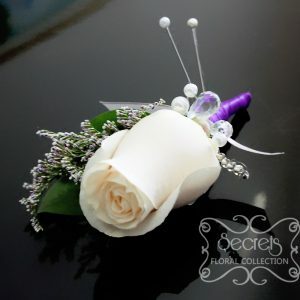 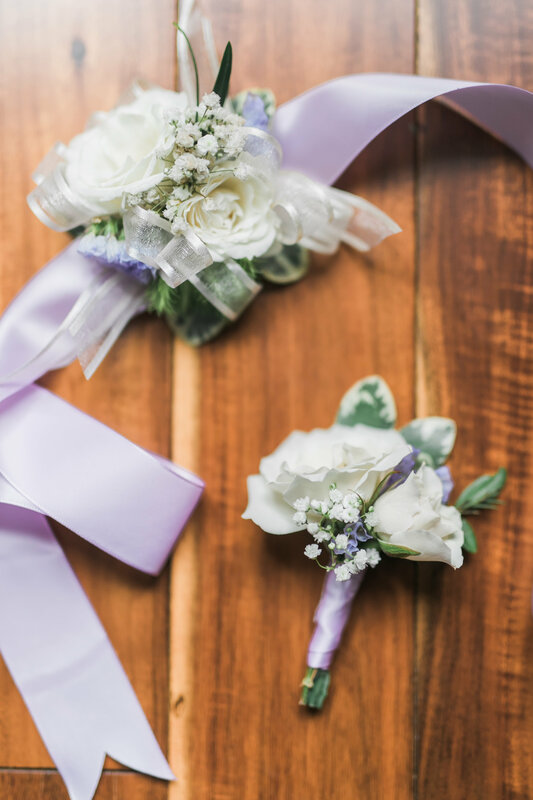 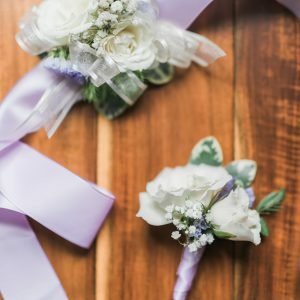 Cream spray roses and white baby’s breath boutonniere and corsage, with lavender purple ribbon. 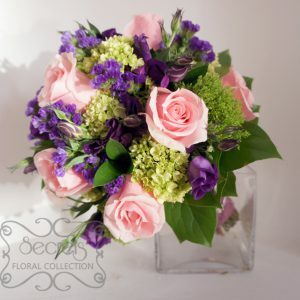 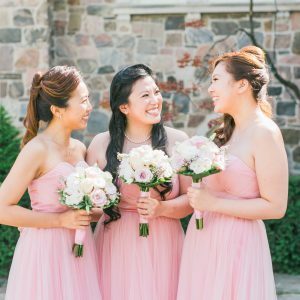 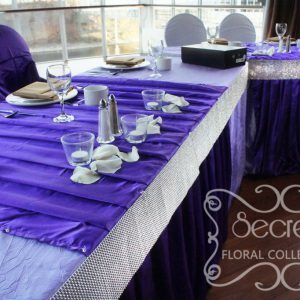 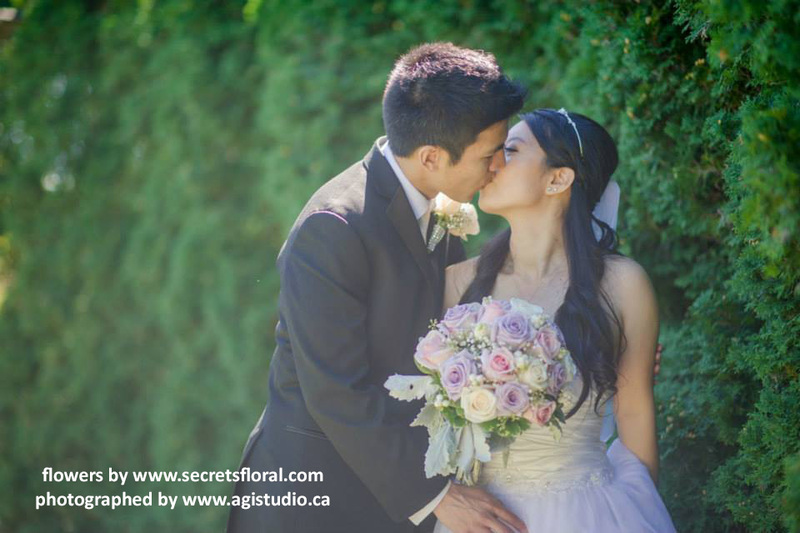 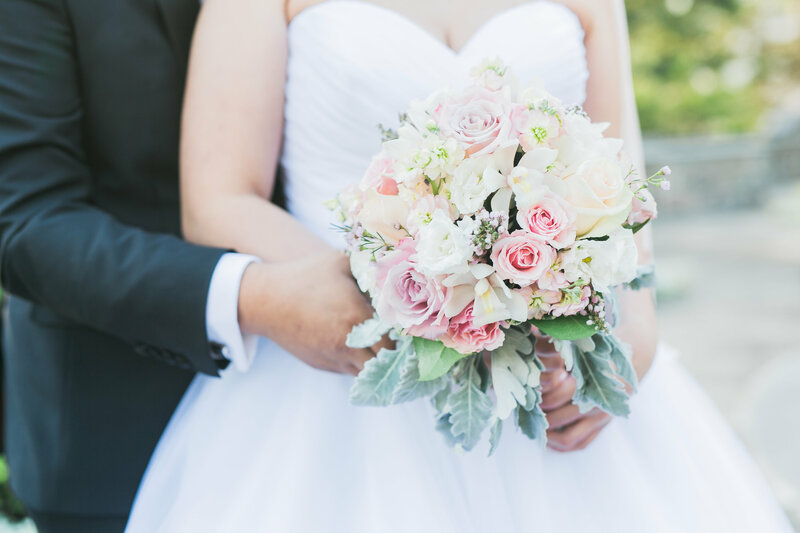 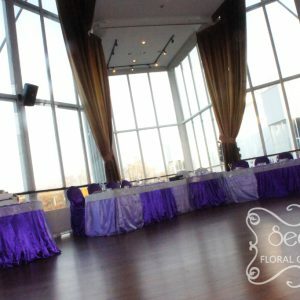 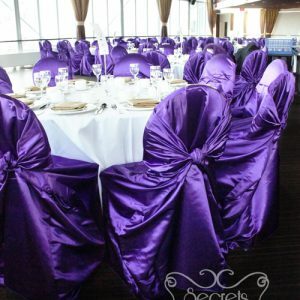 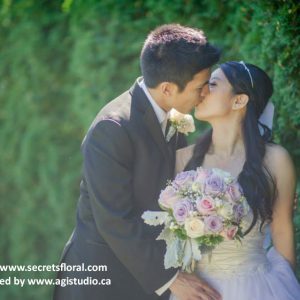 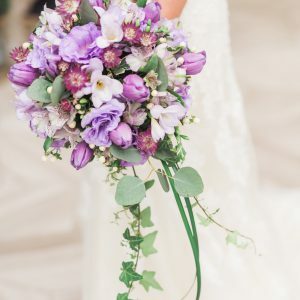 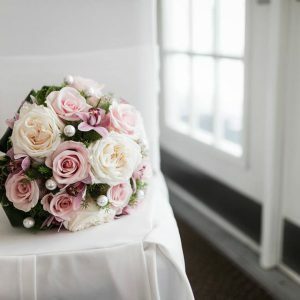 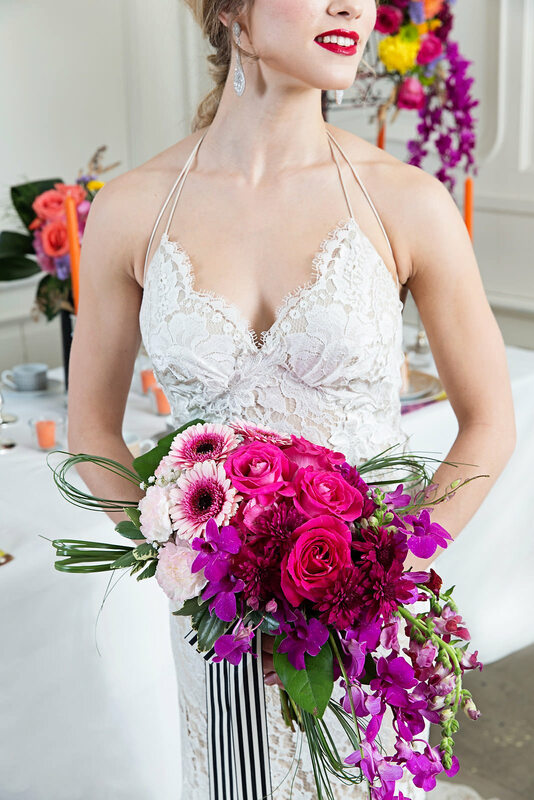 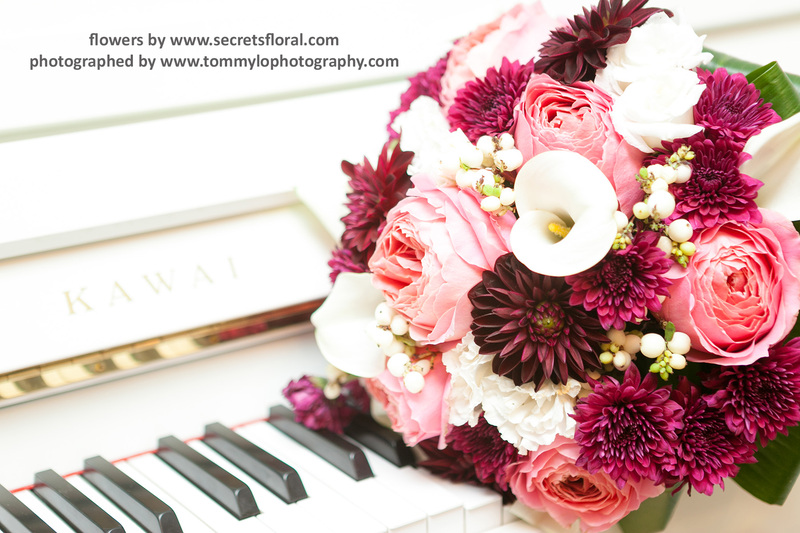 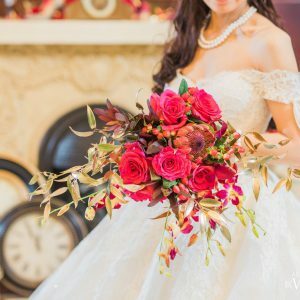 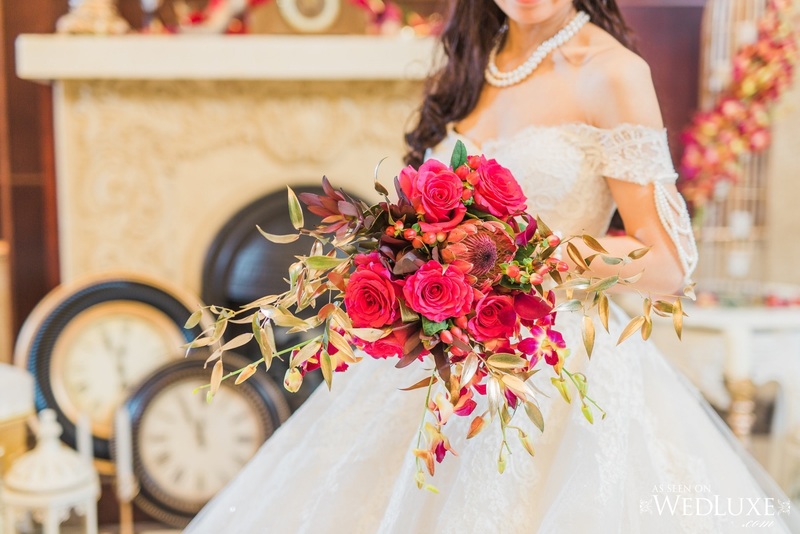 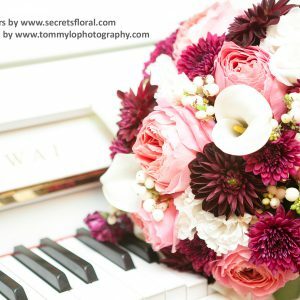 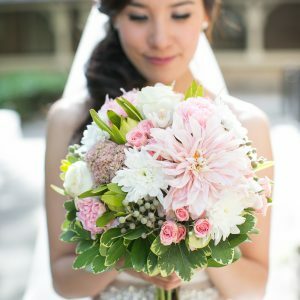 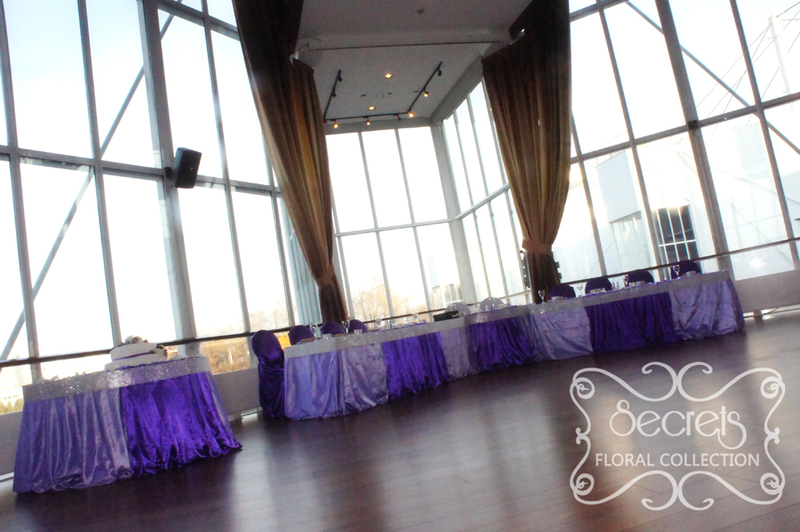 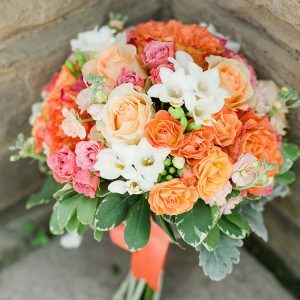 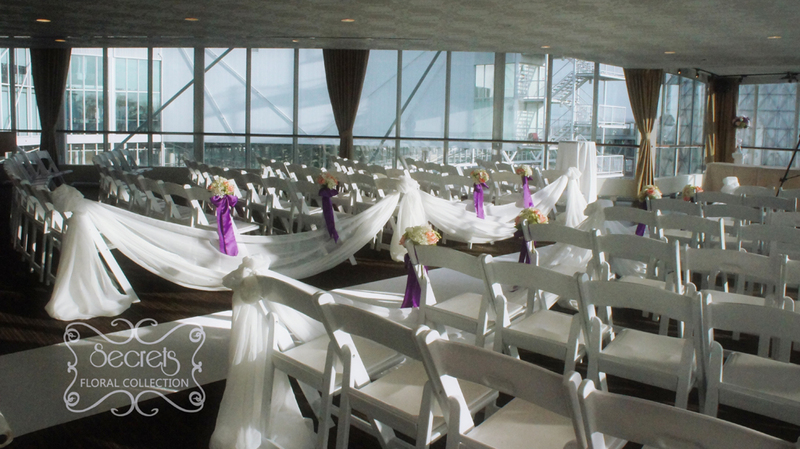 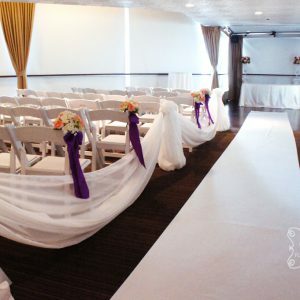 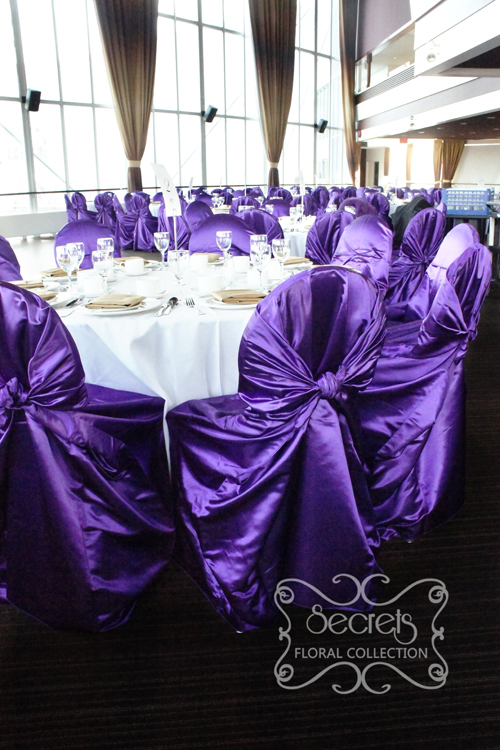 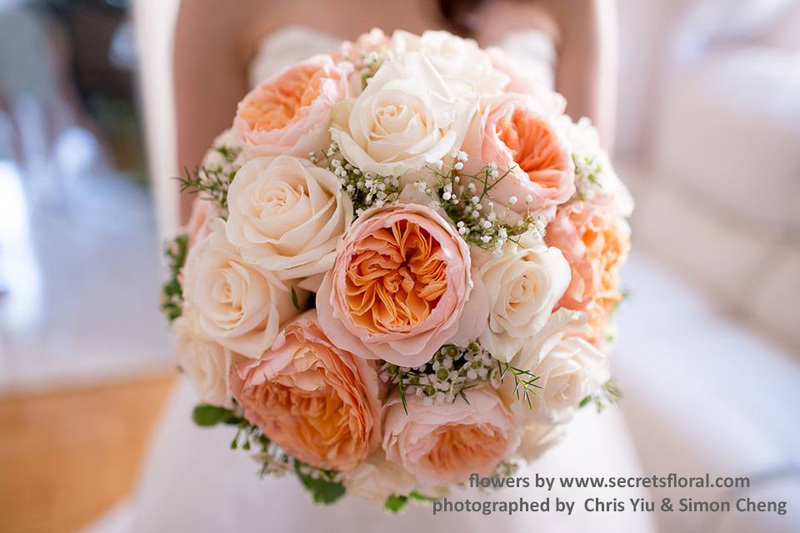 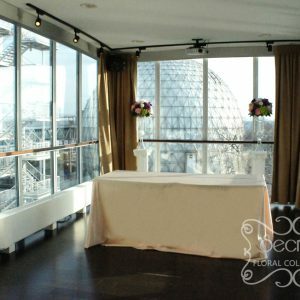 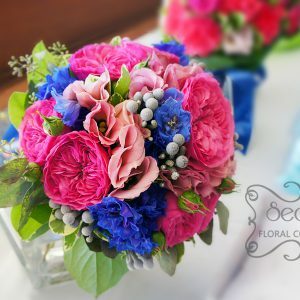 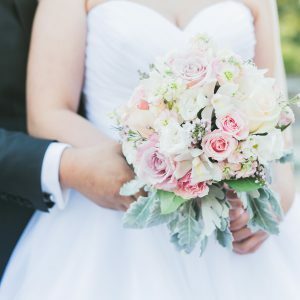 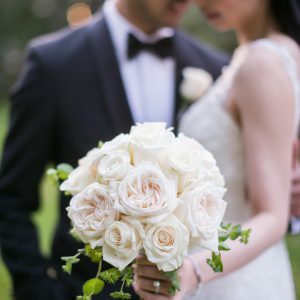 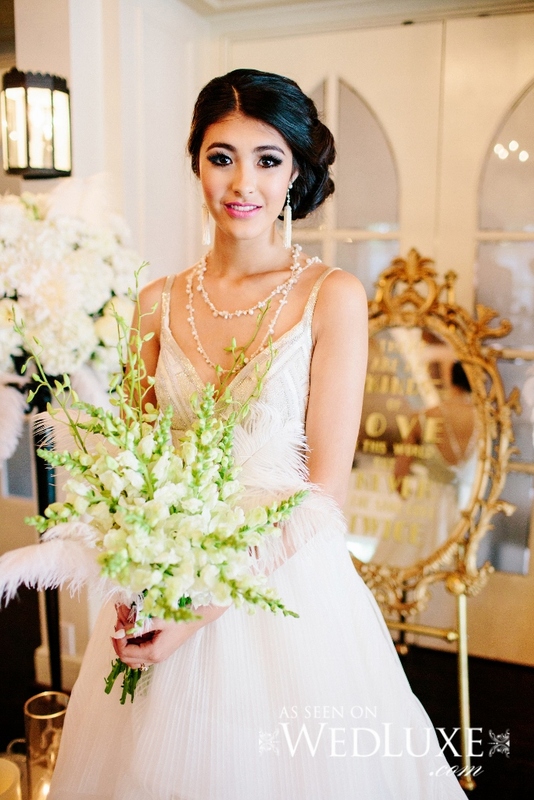 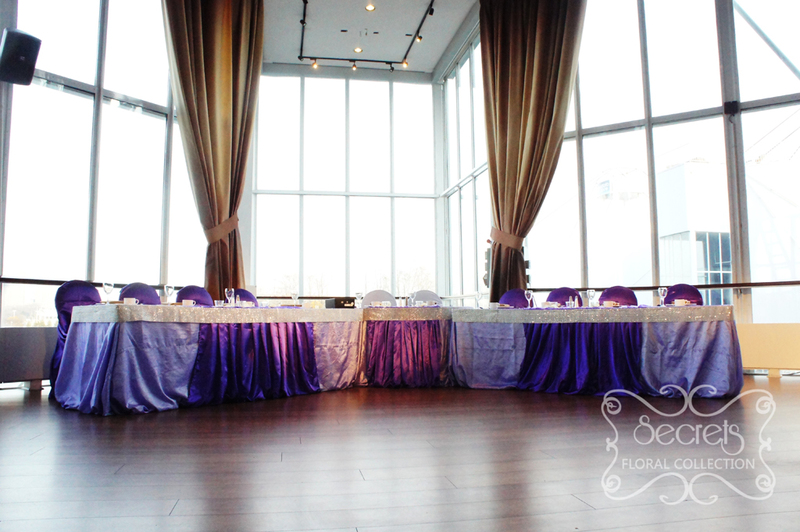 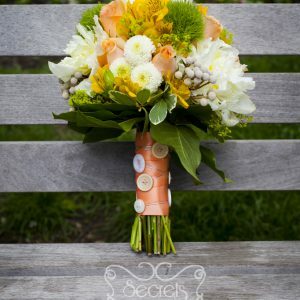 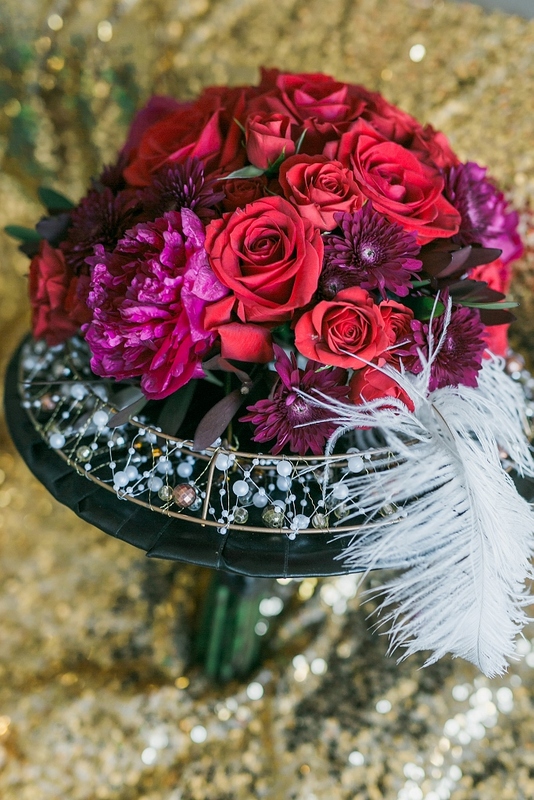 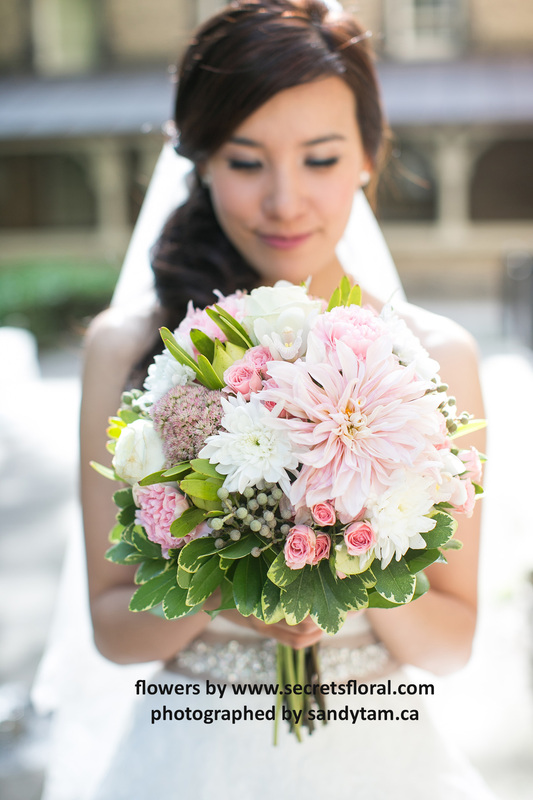 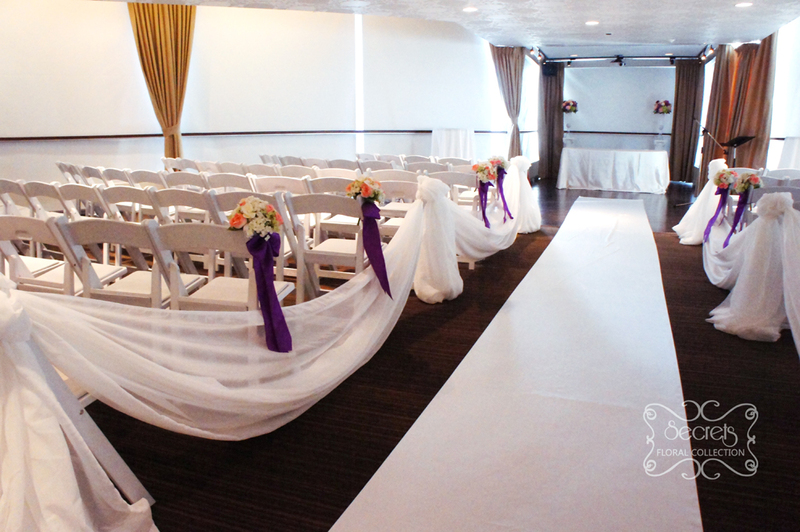 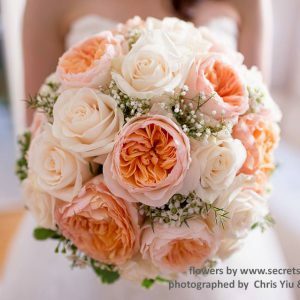 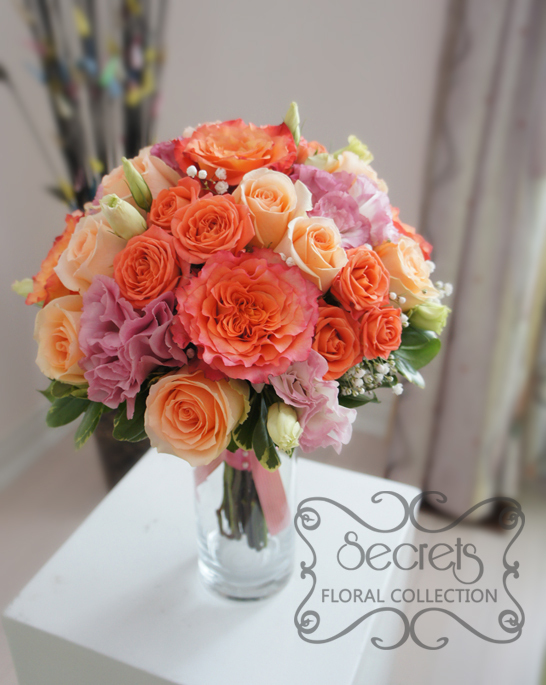 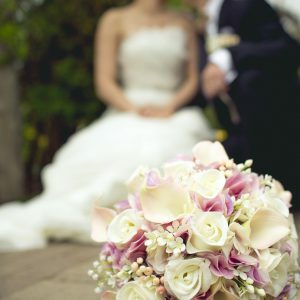 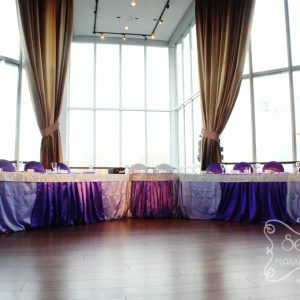 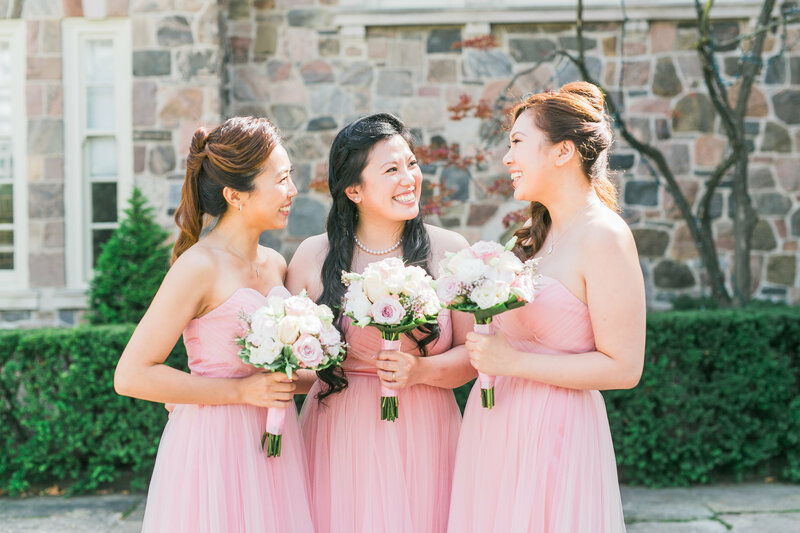 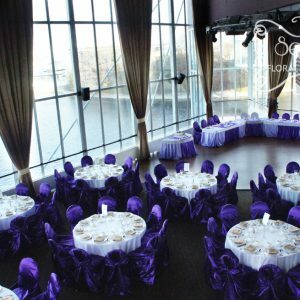 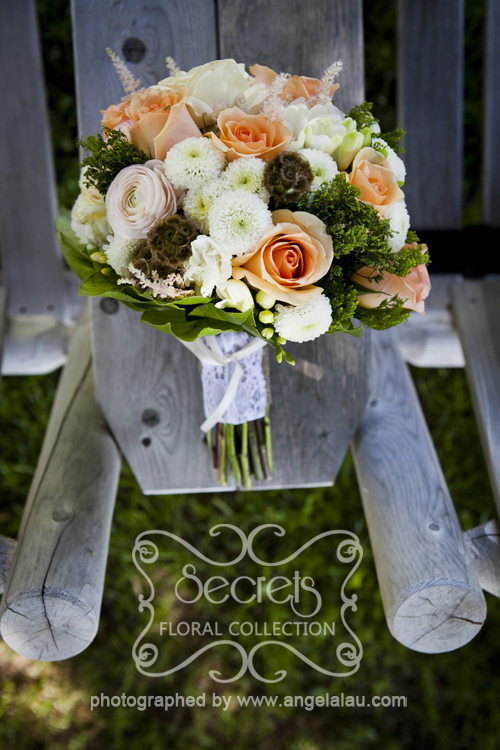 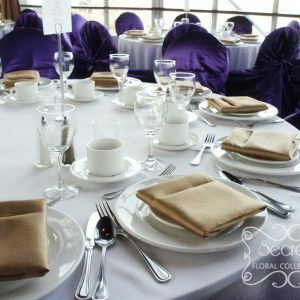 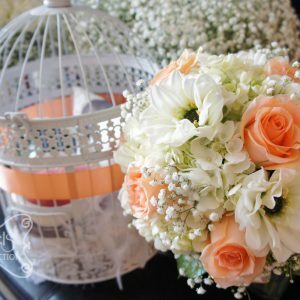 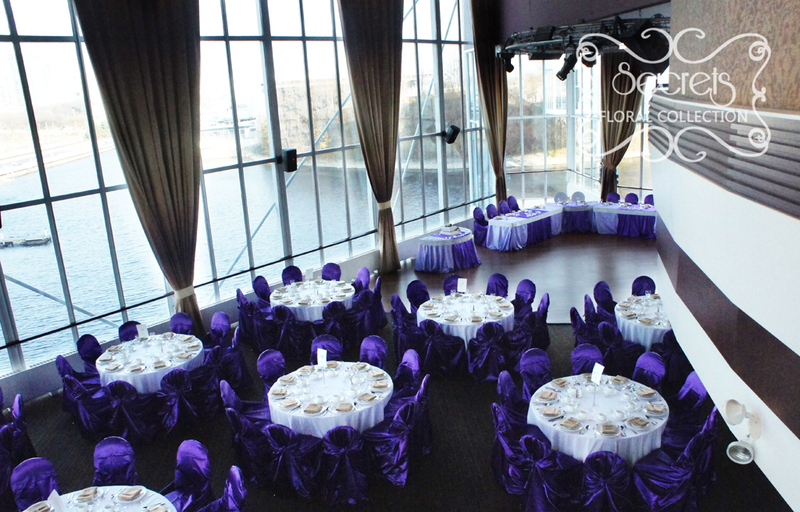 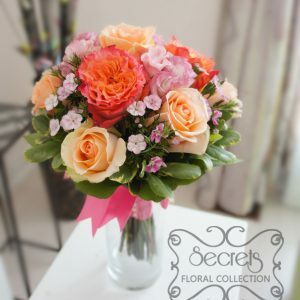 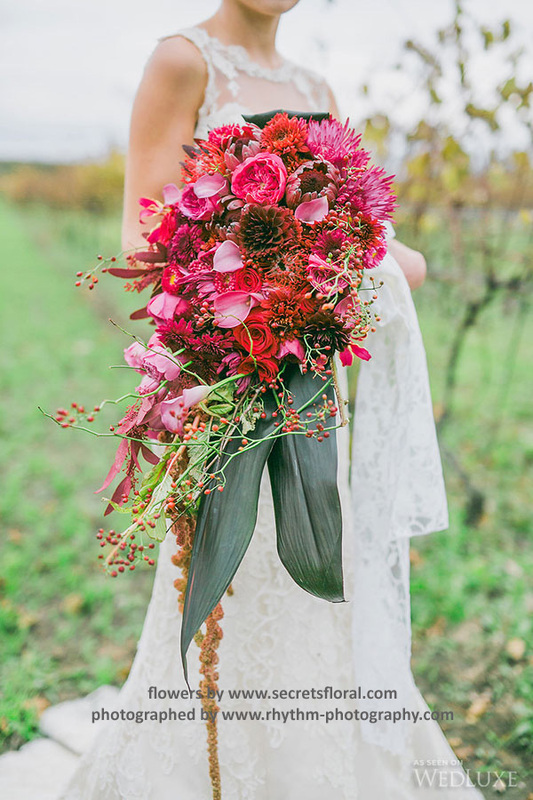 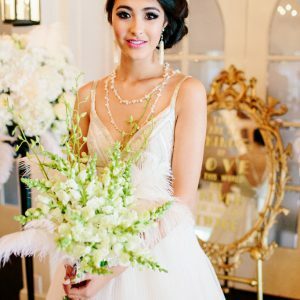 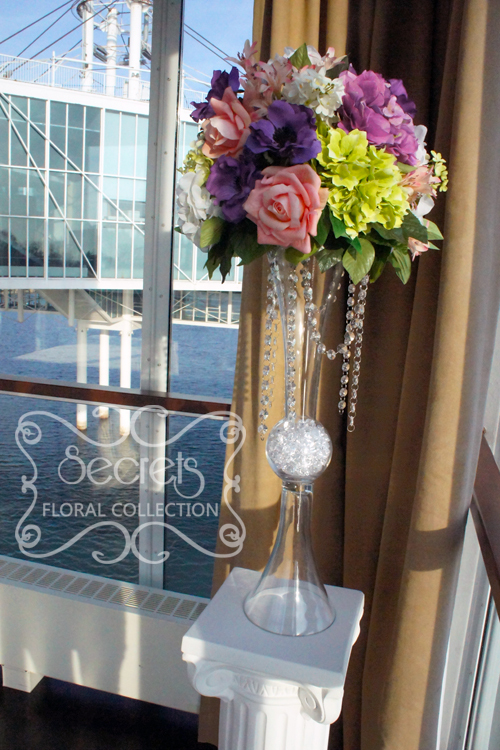 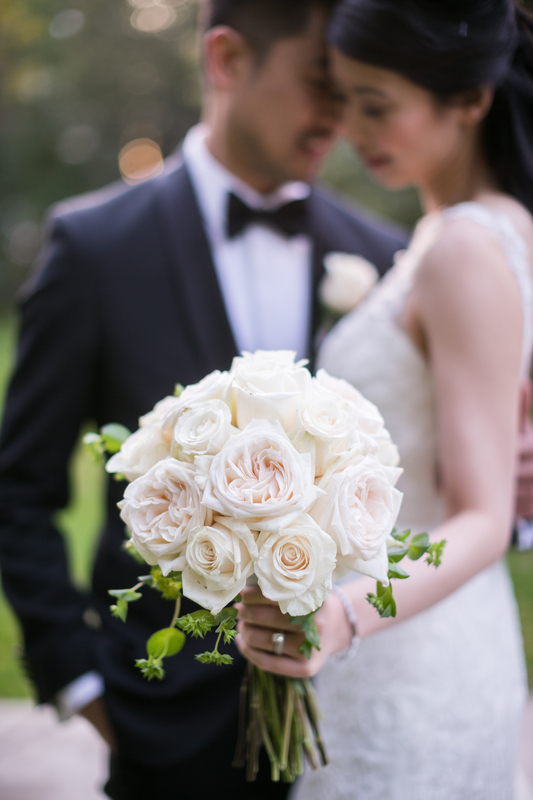 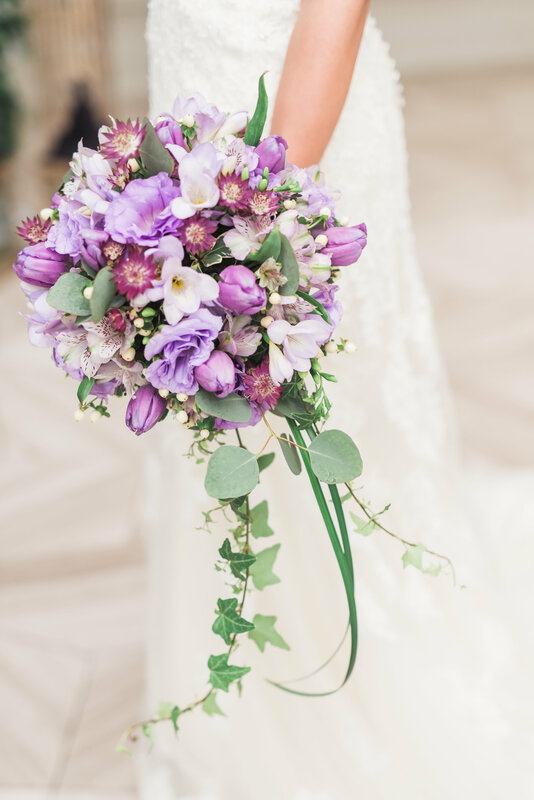 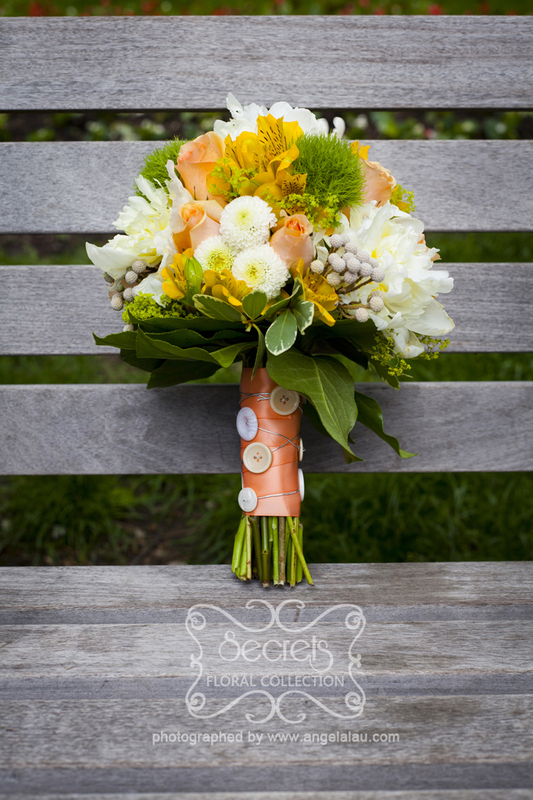 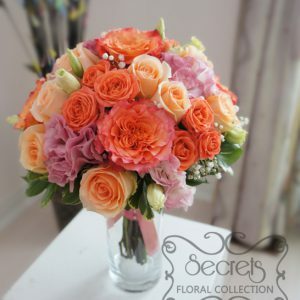 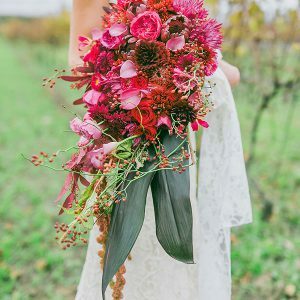 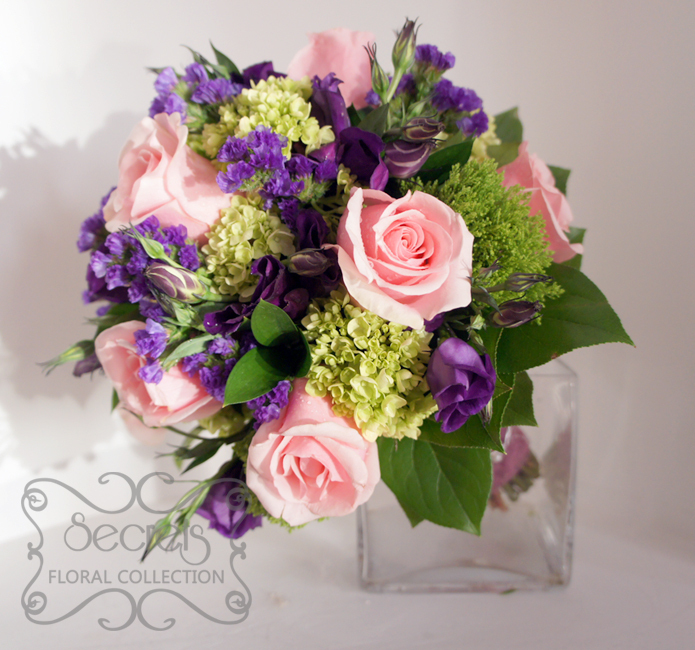 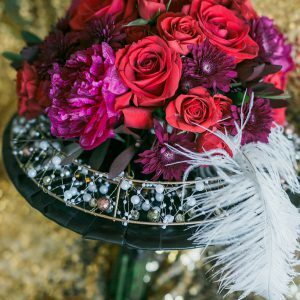 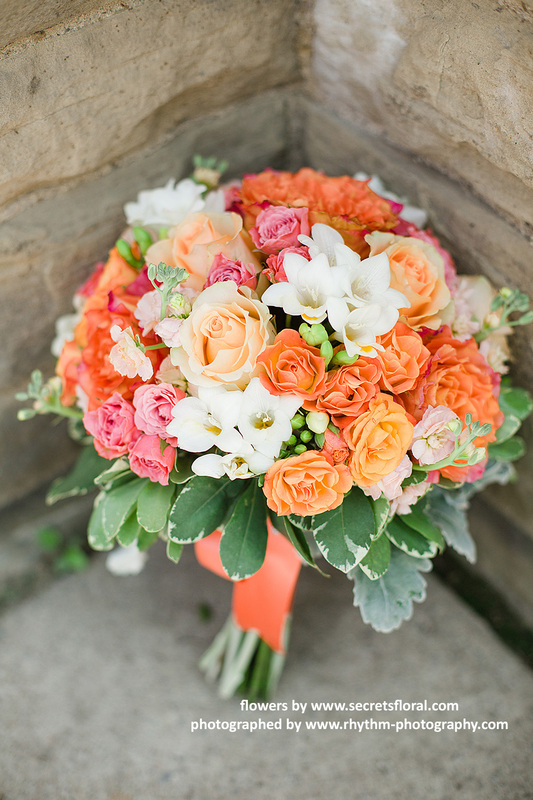 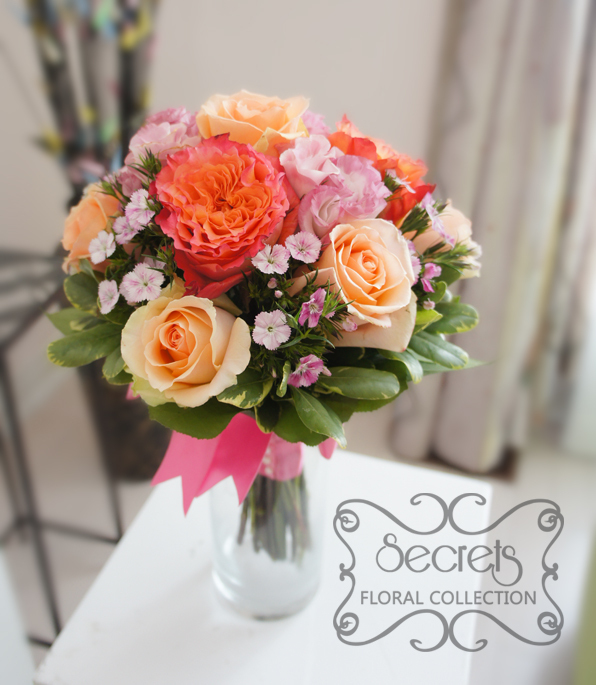 Toronto wedding flowers by Secrets Floral. 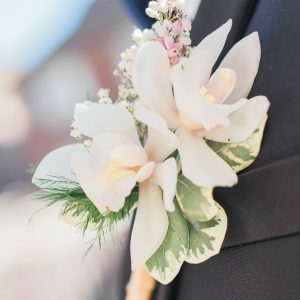 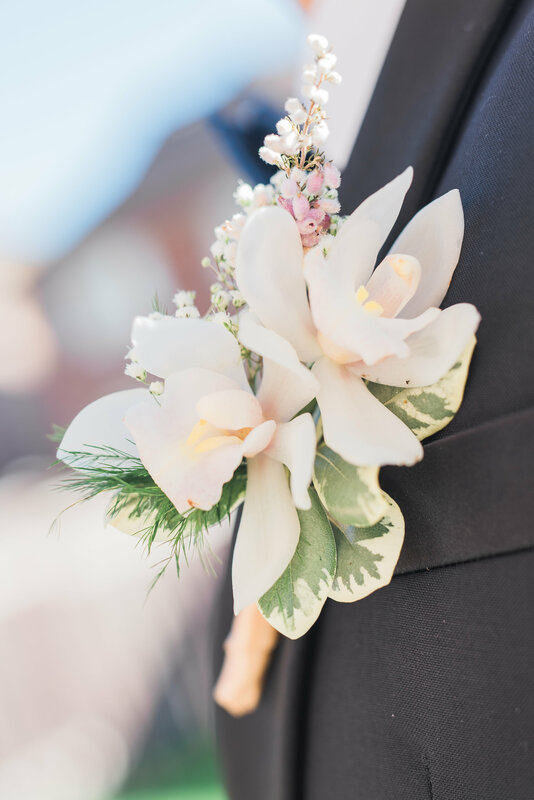 Groom boutonniere with white cymbidium orchids and pink heather flower. 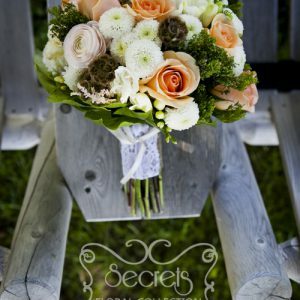 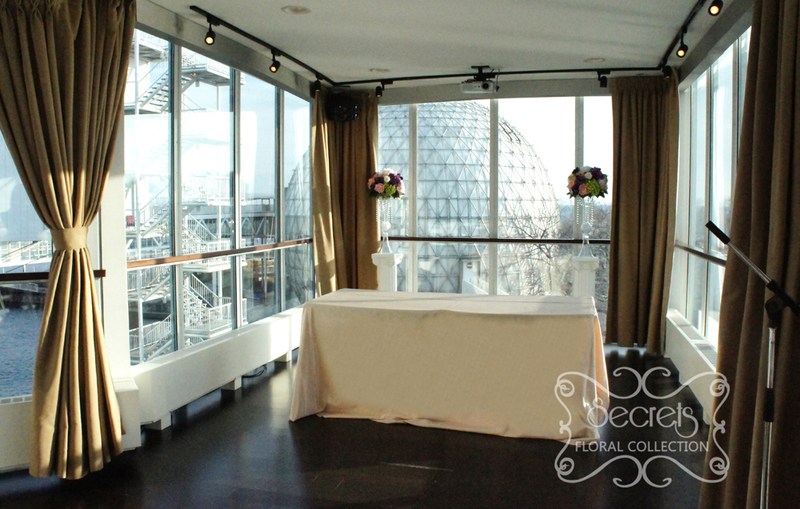 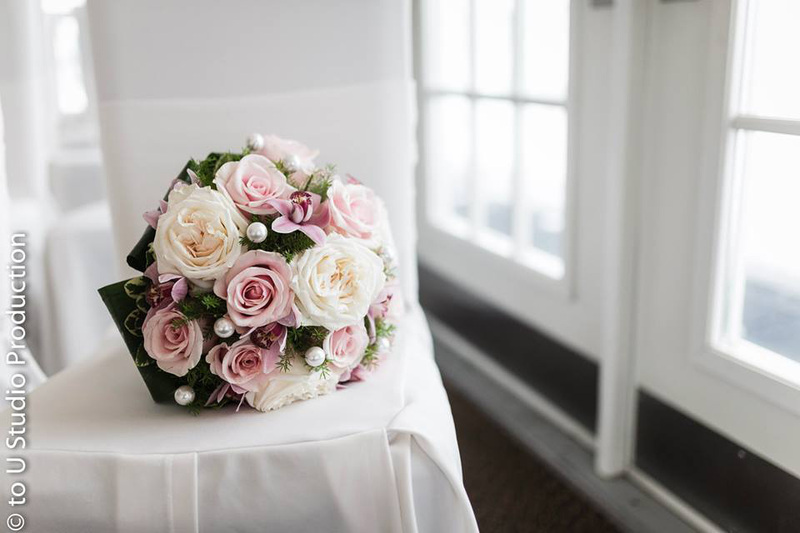 Toronto wedding flowers by Secrets Floral.